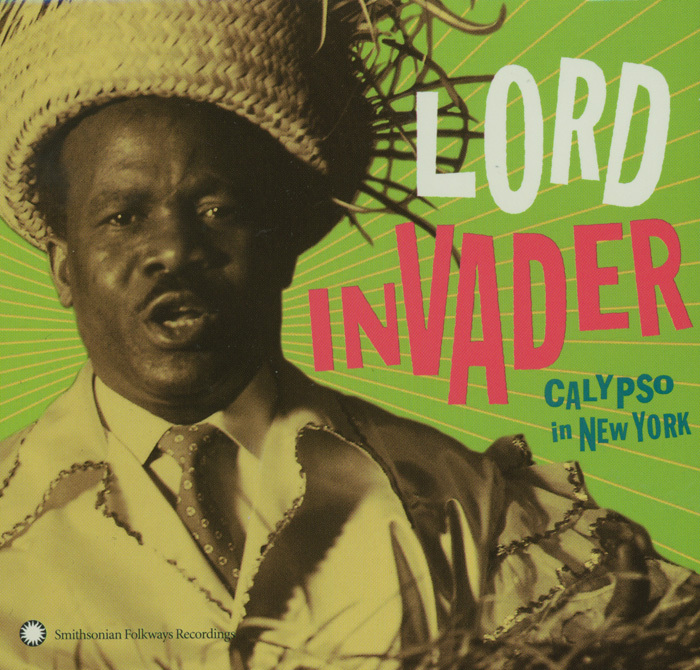 Lord Invader was one of the best known calypsonians of his time. He traveled around the world refining his art and promoting calypso music, in spite of his humble beginnings. Born Rupert Westmore Grant in Port-of-Spain, Trinidad, on December 13, 1914, Grant grew up around San Fernando and began improvising calypsos at a young age. Labeled a "country boy" by his fellow Trinidadians, Grant had great aspirations. Grant's tailor, supportive of the rising local star, gave Grant his moniker by commenting, "I tell you, Rupert, you should call yourself Lord Invader so when you go up to the city you be invadin' the capital." With that, Grant returned to his birthplace and Trinidad's capital, Port-of-Spain, in 1937. The many carnivals and parades in Port-of-Spain gave the city its prominent position in the calypso music world. Calypso music was developed in parades as competing bands strived to gain popular acclaim. Bands obtained lead singers, known as chantwells, to invoke call and response songs and increase audience participation. These chantwells eventually broke away from the bands, forming competing groups of calypso singers. Bands themselves then lost their prominent role in calypso music and only served to accompany the singers. Lyrics in calypso music are often topical in nature, and singers improvise stanzas to denounce their competitors. It is this calypso scene that Grant encountered when he reached Port-of-Spain. His grating voice, biting lyrics, and carefree melodies helped Grant build his reputation as one of the best calypso artists in Trinidad. He brought his talents to many calypso competitions (including the first Calypso King competition) and recorded for RCA Bluebird. Enticed by Decca Records, Grant traveled to New York City in 1941 with other calypsonians to make records and promote calypso music. This invasion contributed to the growing popularity of calypso in the United States. Upon returning to Trinidad the next year, Grant was met with a new scene. Several US military bases had been built as part of the Lend-Lease agreement with Britain. The influx of Americans provided calypsonians with a broader market for their music. While in Trinidad, American comedian Morey Amsterdam heard Grant's calypso "Rum and Coca-Cola." Amsterdam proceeded to bring the song back to the States—where performed by the Andrews Sisters, it became very popular. This blatant plagiarism brought Grant back to New York to take legal action against Amsterdam in 1945. He stayed in New York for a few years because his case took so long. While there, Grant became involved in the local calypso scene and recorded more albums as a Disc performer for Moses Asch. Eventually Grant won his case, but he would not be paid for seven years, and so he returned to Trinidad in the meantime. He opened a calypso club for a brief period and continued writing and recording new music. When Grant finally collected his money from New York, he began to tour the U.S., and then Britain and Europe. At the end of 1958, Grant returned to New York City and made more recordings for Moses Asch. Grant visited his native Trinidad for health and business reasons, making sure to catch a carnival, before returning to New York to continue his career. On October 15, 1961, Grant died at Brooklyn hospital following a short illness and after undergoing two operations. His lifelong devotion to his craft made him one of the greatest calypso artists of all time. In the early 1940s, radio stations in the USA would not play Lord Invader's most popular song, "Rum and Coca-Cola" on the grounds of its free advertising, lustiness in the lyrics, and reference to alcohol.